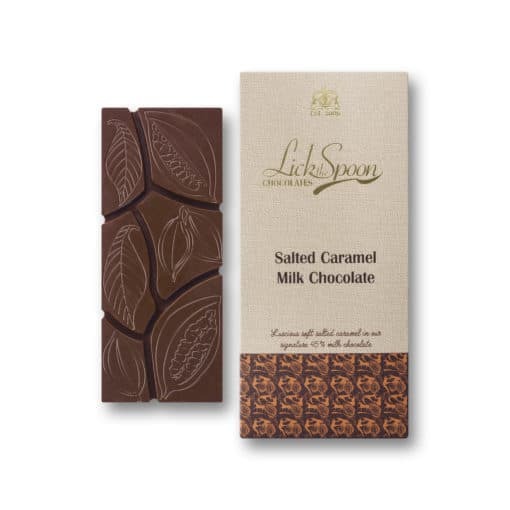 Luscious soft salted caramel in 45% cocoa milk chocolate. It took us many trials in Diana’s copper jam pan to perfect our soft buttery caramel with local Jersey cream and the finest sea salt. Yum! 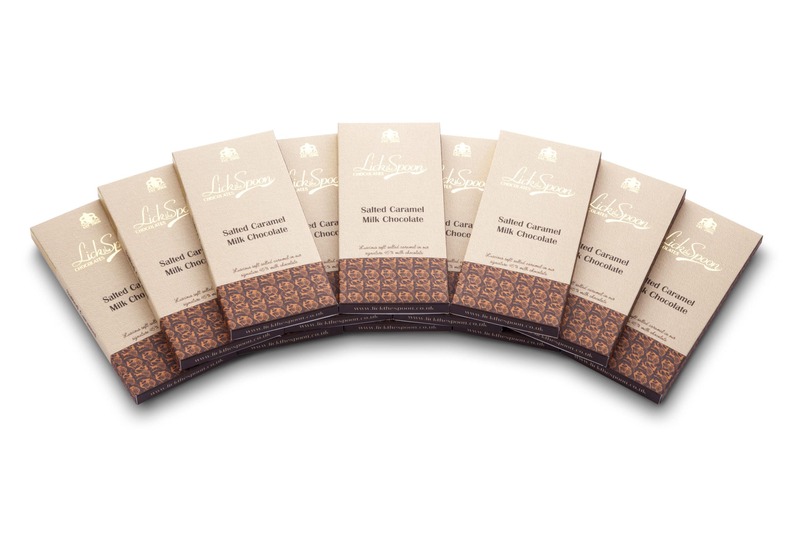 For this bar we use 45% cocoa milk chocolate from the Vietnam mekong delta produced under the cacao trace program. 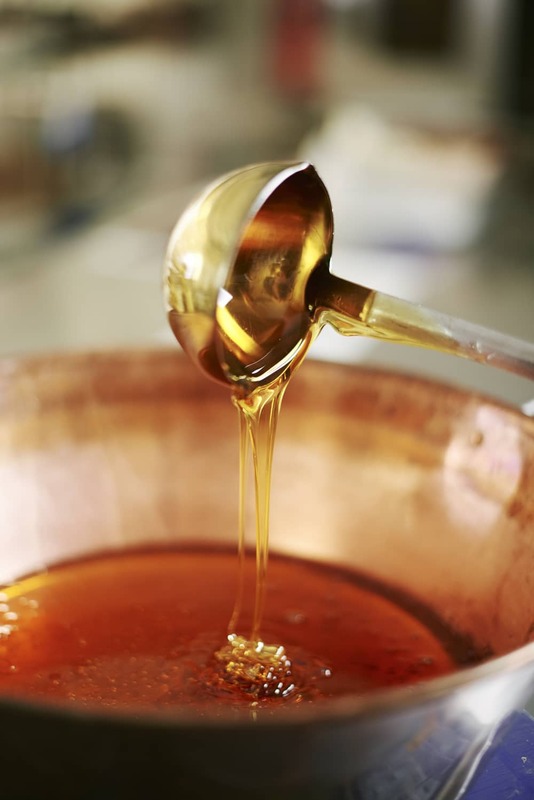 Our Jersey cream comes from the Bowles family Ivy House farm, Beckington on the Wiltshire Somerset border. Delicious. 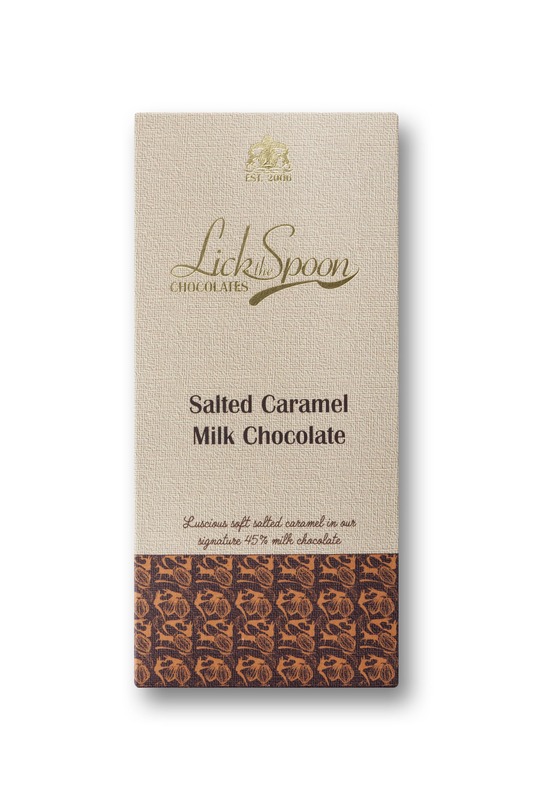 Lick the Spoon have produced a wonderful bar of salted caramel. 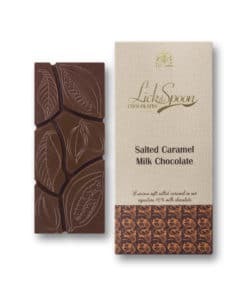 My only complaint is that my local stockist has run out!